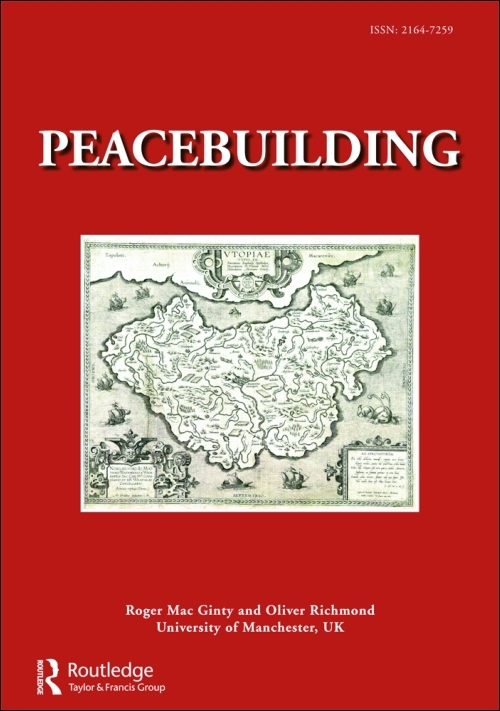 My article on how public authority in Uganda is published in Peacebuilding. In it I argue that in hybrid governance contexts public authority relies on procedural forms of legitimisation that can best be conceptualised as ‘throughput legitimacy’ and results from repeatedly making decisions in inclusive and communally agreeable ways. Abstract: Governance must be based on public authority that is considered legitimate within a society. This paper attempts to examine the process of how public authority is legitimised on the local level by looking at decision-making on the resolution of land conflict in the hybrid governance setting of Northern Uganda. It argues that public authority relies on procedural forms of legitimisation that can best be conceptualised as ‘throughput legitimacy’ and results from repeatedly making decisions in inclusive and communally agreeable ways. Public authority is identified as simultaneously shared and contested between (and among) formal and traditional authority, continuously re-created through daily local-level interactions. The process of mediation is especially found to have a positive impact on throughput legitimacy. Going beyond the focus on local vs. international and formal vs. traditional actors in hybrid governance, this research suggests that a stronger focus on legitimising processes can lead to a better understanding of public authority.